Want to talk with Sangita? 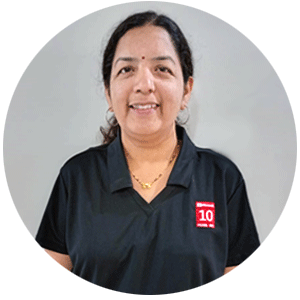 Mrs. Sangita is an MCT (Microsoft Certified Trainer) since 2010, completed many exams on Microsoft .NET development track and Oracle certified professional on Java platform. She is running programming batches for Microsoft .NET technologies, SharePoint development, Sun certification on Java technologies, Core and Advanced Java, J2EE for working IT developers. She is also busy in running batches for University Bachelor and Master degree students for BCS, BCA, MCS, MCA, MCM syllabus. Job profile: Full-time IT Trainer for IT Developer track. » Check Microsoft certification here! We can assure you the 100% knowledge guarantee, as we are the dedicated trainers, love to teach and run purely the training institute! » Read about us!